Live Play-by-Play, Updates, Highlights and More! on US Sports Network! US Sports Network Powered By Beast Sports Nutrition! The Rock Almighty<><><><><><> The Scoreboard Mall ><><><><> Free Fitness and Sports Performance Info<><><><><>The Coolest Links In The Universe! Landover, MD – The Boston Militia just keep rolling along. Whitney Zelee and Alicia Walker combined for six rushing touchdowns, and the Boston Militia handed the DC Divas their first defeat of the season by a 56-35 count. The Divas (3-1) trailed by only six points entering the fourth quarter, but they ultimately had no answer for a seemingly unstoppable Militia running attack. The Boston Militia (3-0) upped their record to 38-1 in their last 39 regular season games. Boston won the coin toss and wasted little time cracking the scoreboard. Zelee took control of the game early, rushing for three touchdowns on Boston’s first three possessions. The Divas responded to Zelee’s first touchdown with a rushing touchdown of their own – a six-yard scamper by Kenyetta Grigsby. The Divas’ next two offensive possessions, however, bogged down in Boston territory. On their second possession of the game, DC had a third and nine from the Militia 12-yard line. But quarterback Allyson Hamlin took an eight-yard sack on the final play of the first quarter, and her pass to the end zone to open the second period fell incomplete on fourth and 17. The Divas got the ball back trailing 20-7, and they quickly drove down to Boston’s 27-yard line. After an incomplete pass and a Grigsby rush for no gain, the Divas faced a third and ten. Grigsby then ripped off a 13-yard run for an apparent first down, but a holding penalty wiped out the gain and pushed DC back ten yards. A Hamlin pass on third and twenty fell incomplete, and the Divas had to punt again. At the close of the first half, the Divas’ defense finally got their first stop of the game. Callie Brownson brought Zelee to the ground for one of her nine tackles in the contest, and Zelee briefly left the field. With their star back sidelined, Boston’s offense finally cooled off and had to punt with under a minute remaining. Although they trailed at halftime, 20-7, the Divas’ defensive stop kept them within striking distance. Kenyetta Grigsby almost single-handedly kept the Divas in the game in the third quarter. On three separate occasions in the period, she rushed for touchdowns that drew the Divas within seven points of the Militia. Her third touchdown of the quarter with just four seconds remaining cut DC’s deficit to 34-28. Grigsby finished the game with 201 yards on 35 carries and four touchdowns. But every time Grigsby scored to pull the Divas within a touchdown, Boston responded with a rushing score of their own. With only 36 seconds gone in the fourth quarter, Zelee crossed the goal line for the fifth time to put Boston back on top, 42-28. The Divas then made their first big mistake of the game. On the ensuing kickoff, a lateral pass went awry, and Boston recovered the fumble at the Divas’ 20-yard line. The Militia took advantage of the short field, punching across a short touchdown run for a 50-28 lead. Yet DC refused to fold. Hamlin hit Ashley Whisonant for a 46-yard touchdown pass with 11:11 left in the contest to pull the Divas within 50-35. Then the Divas’ defense forced Boston’s second punt of the game, getting the Divas the ball back with just under eight minutes remaining. But Hamlin threw her only interception of the game at midfield moments later, and with 3:31 left in the contest, Cahill threw her only touchdown pass of the game. The scoring toss was a 26-yard throw to fullback Dorothy Donaldson, and it pushed Boston’s lead out to 56-35. The Divas drove down to the Militia 25-yard line as the game expired. Hamlin completed 14 of 27 passes for 213 yards and one touchdown and one interception. Her favorite targets were Juliette Baker-Brice, who made six catches for 103 yards, and Ashley Whisonant, who hauled in five passes for 74 yards and one touchdown. Trigger McNair led the defense with ten tackles; Brownson added nine and D’Ajah Scott notched eight tackles. The Divas get a bye next weekend after four games in four weeks. They next take the field May 11 when they host the New York Sharks. For some folks, the word 'wheatgrass' conjures up images of juice bars and health food stores filled with, well, health nuts. But have you ever wondered just what it is and why so many folks are so eager to chug down wheatgrass concoctions? They know what they're doing, so please keep reading. . .
of a Drug Company Insider"
In this exposé, a top executive of a major pharmaceutical company spills the naked truth about the drugs you and your family take... which drugs heal, and which ones KILL... what doctors turn to when they don't know the cure... what they do when they themselves or their loved ones are stricken with disease or illness... what life-saving resource they insist should be in every home. Watch this must-see video now because your life -- or the life of your loved ones -- may depend on it. Wheatgrass is typically sold as a juice made from the young grass of the wheat plant. Health food stores may sell the produce itself or products such as wheatgrass tablets, powder or frozen juice. As for why the plant has so many fans—a major reason is that it packs a punch when it comes to nutrient density! Wheatgrass contains at least 13 vitamins as well as all 21 amino acids (including the 9 "essential" amino acids that your body is unable to make for itself). You need all of these nutrients to power up your immune system to protect you from damaging diseases. Plus it's a rich source of the plant pigment chlorophyll. This amazing body detoxifier provides the perfect alkaline balance for the acidic foods Americans commonly eat. How can wheatgrass help cancer patients? This condition is called myelotoxicity and it significantly compromises a cancer patient's immune system. But wheatgrass juice may be able to boost low levels of white blood cells, helping to prevent this condition from occurring. This claim is supported by a 2007 study published in Nutrition and Cancer involving 60 breast cancer patients undergoing chemotherapy treatments. Researchers found that patients receiving a daily serving of wheatgrass juice during the first three cycles of chemotherapy experienced a significant reduction in myelotoxicity. These patients also had a reduced need for drugs to help boost their white blood cell production. Another study showed that wheatgrass juice could be an effective alternative to blood transfusions for terminally ill cancer patients. I'm not quite ready to buy into that, but studies suggest wheatgrass provides abundant benefits to the blood even if it's not quite a direct substitute for red blood cells. In a study published in the Journal of Clinical Oncology, researchers examined the effects of wheatgrass juice on 348 terminally ill cancer patients at the Netaji Subhash Chandra Bose Cancer Research Institute in India. Researchers wanted to know if the plant juice could help improve hemoglobin levels, serum protein and overall patient health performance. They found that these patients experienced significant improvement in total protein & albumin levels. Although white blood cell and platelet counts remained the same, the patients' overall health performance increased from 50 percent to 70 percent! But wheatgrass has the potential to do far more than work as a complementary cancer treatment. Peek inside Mother Nature's medicine cabinet! Cleanse your colon when juice is held in the lower bowel for about 20 minutes. This is done by inserting a rectal implant that contains a small amount of juice. Detoxify your liver to protect you from pollutants and other carcinogens. Freshen breath when juice is used to gargle. Lessen the effects of radiation through its enzyme SOD, an anti-inflammatory compound that may prevent cell damage. Mend damaged hair and itchy scalp when rubbed into the scalp before shampooing. Protect your brain and organs by neutralizing heavy metal toxins such as cadmium and mercury, as well as other toxins such as nicotine. Reduce blood pressure by dilating pathways blood travels throughout your body. Restore proper pH balance to your body by improving blood alkalinity. Treat gastrointestinal problems such as constipation, diarrhea, peptic ulcers and ulcerative colitis. Slow the aging process by cleansing your blood and rejuvenating aging cells. Soothe and heal sunburn, cuts, burns and itching when applied externally to your skin. For example, one animal study suggests that wheatgrass may help lower cholesterol. In the 2011 study from Acta Poloniae Pharmaceutica, scientists found that treating rats with wheatgrass juice helped reduce total cholesterol and lowered LDL (or 'bad') cholesterol in rats with abnormally high cholesterol levels. Granted, there are no studies yet demonstrating whether wheatgrass might have the same cholesterol-lowering effects in humans. But the superfood nutrients in wheatgrass certainly shouldn't hurt you either! Remember, the chlorophyll in wheatgrass is a rich source of oxygen. Boosting the oxygen flow in your body helps power up every cell in your body. It also can help increase your immune defenses to protect you from diseases. Wheatgrass is generally safe for use, but some people experience an upset when they first start taking it, as it begins its detoxifying work. As your system begins to flush toxins, you may experience mild nausea. You may need to start slowly by drinking a minimal amount of wheatgrass juice or powder (e.g. one ounce daily), then slowly build your tolerance level. As with any treatment, be sure to consult your medical professional before using this alone or in combination with other medications. And as with so many foods, wheatgrass is most beneficial when fresh. True devotees grow their own wheatgrass (for instance, in a windowbox) and make their own juice. Wheatgrass does not contain gluten and shouldn't pose a problem to people who are wheat- or gluten-sensitive. Gluten is present only in the wheat grain. Wheatgrass is harvested when the shoots are young, well before a seed head forms. For more information about wheatgrass, you can check out Issue #60. While they’re telling women that breast removal surgery is a must to survive breast cancer, there’s one breast cancer surgeon who sings a different tune. What saved her life was an all-natural oxygen therapy available without a prescription and backed by six decades of research—including studies in major medical journals—and thousands of success stories. Click Here To Learn More to see the proof for one easy treatment that’s so safe you can use it at home for a fraction of the cost of surgery, chemotherapy or radiation. This breakthrough discovery is bringing countless women with breast cancer back from death’s door. Breast cancer will always be scary, but it does not have to be a death sentence. 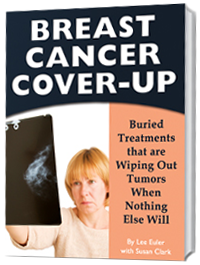 I urge you to read my Special Report, Breast Cancer Cover-Up: Buried Treatments that are Wiping Out Tumors When Nothing Else Will, right away. Share the breakthroughs you'll discover with your family and friends. You don't have to choose between alternative and conventional treatment. Many of these buried breakthroughs can also be used along with breast surgery, breast radiation and chemotherapy. Michael Bass (BT '11-'12) - pictured above - had an incredible week that was highlighted by a truly incredible game. For the week, Bass went 11 for 17 at UNC-Wilmington and collected two walks, four doubles, and four stolen bases while scoring five runs and driving in six. His incredible game came Sunday against George Mason, where he recorded this stellar line: 4/4, 2BB, 3R, 2RBI, 2B, 3SB. Bass is now batting .433 on the season and ranks fourth in the nation. He has also extended his on-base streak to 38 games. Also helping the Seahawks this week was Kelly Secrest (BT '11). He picked up a win and a save over 7.2 innings. He didn't allow a run and gave up just five hits, walked two, and hit one batter while striking out seven. 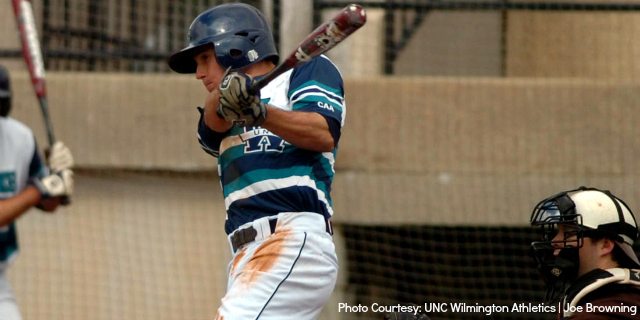 One other great individual stretch came from a Seahawk opponent this week in Josh Leemhuis (BT '11) of George Mason. The numbers speak for themselves. Leemhuis filled the entire box score this week with an extremely diverse set of statistics: 10/18, 2BB, HBP, 6R, 3RBI, HR, 3B, 4 2B, SB. Two west coast squads with heavy Big Train presences got great contributions this week as well. The first were the Gaels of St. Mary's (CA).Ben Griset (BT '12) pitched eight innings and gave up three runs on 12 hits and no walks while striking out five. Luckily for the Gaels, Gary Cornish (BT '13) was there in relief to pick up the win. Cornish threw three innings this week and gave up nothing while striking out three. At the plate, three Big Train alumni came through. Markus Melgosa (BT '10), Brenden Kalfus (BT '11), and Cole Norton (BT '12) combined to go 14 of 37 with three runs, seven runs driven in, two doubles and a stolen base. The other west coast team benefiting from Big Train influence was San Diego State. Ryan Doran (BT '12) threw seven good innings as he gave up just one run on six hits and two walks while he struck out four. Bubba Derby (BT '13) pitched 5.2 innings out of the bullpen this week for the Aztecs and gave up just one run on two hits and four walks while he sent eight batters packing via the strikeout. Ethan Miller (BT '12) also helped out by throwing 3.2 innings and allowed just three hits (no runs or walks) and struck out seven. Tyler France (BT '13) assisted at the plate as he went 5/16 with two walks, two RBIs, and a double. Other notable hitting performances: Kevin Tatum (BT '13 / Cornell) - 8/17, 2BB, 5R, 3 2B... Colin Kish (BT '12 / Florida Southern) - 5/10, 4R, 2RBI...Tim Quiery (BT '11 / San Jose St.) - 7/15, 2R, 6RBI... Justin McCullough (BT '10-'12 / El Camino CC) - 6/15, BB, 2R, 8RBI, 3B, 2B... Hunter Renfroe (BT '11-'12 / Mississippi St.) - 3/13, 5BB, 5R, 3RBI, HR. Other notable pitching performances: Joe Mantiply (BT '10 / Virginia Tech) - 7IP, W, 0ER, 3H, BB, 6K... Michael Judge (BT '13 / Methodist (NC)) - 6.1IP, W, 0ER, 5H, 3BB, 2K... Michael Frank (BT '11 / Bowling Green) - 8IP, W, ER, 2H, 2BB, 8K... Cameron Cuneo (BT '12 / UC Santa Barbara) - 5IP, W, ER, 4H, 3BB, 2K... Troy Rallings (BT '13 / Washington) - 5.1IP, ER, 6H, 3BB, K...Danny Mooney (BT '13 / Davidson) - 6.2IP, W, 3ER, 7H, 4BB, 5K. 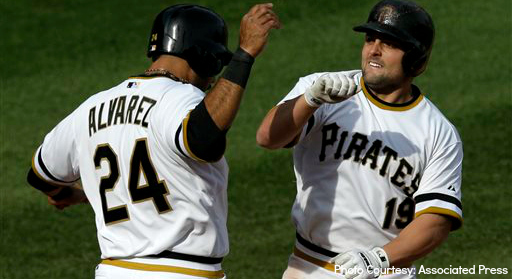 Michael McKenry (BT '04) - pictured above, right - celebrates with Pedro Alvarez after hitting a two-run home run, his second home run of the game, in the Pittsburgh Pirates 10-7 victory over the Cincinnati Reds on April 14th. Martin Agosta, RHP (BT '11) Augusta Greenjackets (So. Atlantic Lg. - Lo A) 2-1, 1.84 ERA in 3 games. Michael Aldrete, RHP (BT '11) Peoria Chiefs (Midwest Lg. - Lo A) 1-0, 5.06 ERA in 5 games. Cody Allen, RHP (BT '08 & '10) Cleveland Indians (American League - MLB) 1-0, 3.00 ERA in 6 games. Matt Bowman, RHP (BT '10-'12) Savannah Sand Gnats (So. Atlantic Lg. - Lo A) 2-0, 1.62 ERA in 3 games. Collin Cargill, RHP (BT '07) Jupiter Hammerheads (Fla. State Lg. - Hi A) 0-0, 0.00 ERA in 5 games. Mike Costanzo, 3B (BT '03) Syracuse Chiefs (International Lg. - AAA) Hitting .273 with 3 HR and 12 RBI in 14 games. Tucker Donahue, RHP (BT '11) Lansing Lugnuts (Midwest Lg. - Lo A) 0-0, 7.36 ERA in 6 games. Brian Dozier, 2B (BT '06) Minnesota Twins (American Lg. - MLB) .209 in 12 games. Ryan Garton, RHP (BT '11) Bowling Green Hot Rods (Midwest Lg. - Lo A) 0-1, 3 Saves, 4.50 ERA in 6 games. Carlos Gutierrez, RHP (BT '05) Began year on roster of Iowa Cubs (Pacific Coast Lg. - AAA), but currently is in extended spring training and active rehab with Chicago Cubs' organization. Matt Long, OF (BT '06) Arkansas Travelers (Texas Lg. - AA) Hitting .359 with 2 HR and 14 RBI in 17 games. John Maine, RHP (BT '00) Now a free agent, after starting season with Miami Marlins (National League) 0-0, 12.27 ERA in 4 games. Michael McKenry, C (BT '04) Pittsburgh Pirates (National Lg. - MLB) Hitting .357 with 2 HR and 4 RBI in 5 games. Danny Stienstra, 1B (BT '08-'10) Palm Beach Cardinals (Florida State Lg. - Hi A) .318 in 17 games. Justin Wright, LHP (BT '08) Springfield Cardinals (Texas Lg.- AA) 0-0, 1.29 ERA in 5 games. When 81-year-old Trish Coleman of British Columbia was diagnosed with pancreatic cancer, she was given four to six months to live, with no hope of a cure or even a treatment. She turned to a homeopathic doctor. Six months later, she says she feels better than she has in months. Coleman is part of a trend of cancer sufferers turning toward homeopathy, which is based on the principle that "like cures like." The system is generally credited to German physician Samuel Hahnemann, who pioneered it in 1796, though some people credit Hippocrates for originating the concept in 400 BC. It's scorned by conventional MDs, but there's good evidence it works. Let's take a look. . . There is a nutrient in your kitchen, right now, that acts like a "smart bomb" against cancer cells. It's one of the main phytonutrients in a specific type of food. Researchers are hailing it as a breakthrough that offers real hope for preventing and defeating cancer. A new research study has shown how it can selectively target and kill cancer cells, while leaving healthy cells alone. The findings are breakthrough for its potential use in cancer prevention and treatment. Dr. Victor Marchione, aka the Food Doctor is revealing this and 16 other amazing "healing foods" in his newest report that you can see here. The premise of homeopathy is that if a large dose of a substance causes a disease-like symptom, very small doses of the same substance will cure it. For example, a cold might be treated with a plant extract that produces symptoms similar to those of a cold — but the treatment will utilize a very small amount of extract dissolved in water. Or poison ivy might be treated with tiny amounts of a plant that makes you itch — again, diluted in water. Most homeopathic remedies are water-based and contain microscopic amounts of plants, minerals, chemicals, or animal products — all of which occur naturally. As Dr. Guenther's statement might suggest, there's a spiritual element to homeopathy. Hahnemann himself believed diseases had both spiritual and physical causes. Many homeopathic treatments are believed to carry certain energies and vibrations, based on the plants or material they come in contact with. There has to be an "energy" or "spiritual" explanation for homeopathy, because most of the remedies are so diluted they're actually pure water. There isn't a single molecule left of the plant extract (although there is a significant amount of extract present before the dilution process begins). This makes homeopathy very "unscientific" indeed — if you ignore the many clinical studies that suggest it works. Maybe the remedies are just water, but apparently that water has something special going for it. In my experience, some kinds of energy medicine are effective, but mainstream scientists can't explain why, so they chalk it up to the placebo effect. You have to realize a great deal of so-called science is "parascience" — the people who call the shots exclude from consideration any evidence that doesn't fit what they believe "must" be true. As a cancer treatment, homeopathy's first benefit is that it does no harm. That's a far cry from the havoc wreaked by chemotherapy and radiation therapy. But besides simply doing no harm, homeopathy shows measureable results in rigorous studies. In some cases it not only makes patients more comfortable, it also cures their disease. Advocates believe homeopathy heals the whole person and works in your body on a wholistic (or holistic) level. One theory is that homeopathic treatments operate through the same mechanism as the placebo effect, underscoring the role of the mind-body connection in overcoming disease. Of course, doubters from the medical side wag their fingers and say there's lack of evidence homeopathy is effective. But in reality, nearly 150 randomized clinical trials (RTCs) have been conducted — 43 percent of which show positive evidence. Of those studies, 49 percent were inconclusive. But here's the thing. Randomized clinical trials measure the effectiveness of a therapy on a group of people, all of whom are treated the same. But homeopathy works best when it's tailored to the individual. According to the British Homeopathic Association, "A homeopathic prescription is based not only on the symptoms of disease in the patient but also on a host of other factors that are particular to that patient, including lifestyle, emotional health, personality, eating habits, and medical history. "4 Classic homeopathy treats the whole person. Plus, most folks in randomized trials have to meet certain criteria to qualify. Those who fall outside the criteria — like older folks, children, pregnant women, and anyone with unusual medical issues — can't be included in a gold-standard clinical trial. Yet these are the people who benefit most from homeopathic care! way ahead of the U.S. In Germany, homeopathy is part of mainstream medical treatment. In the U.K., there are three homeopathic hospitals financed by the National Health Service — in London, Bristol, and Glasgow. The Swiss Government even commissioned a report on homeopathy a few years ago, concluding that the therapy has "real world effectiveness, is appropriately in demand by the Swiss population, is safe when prescribed by professional homoeopaths, and should be available to the Swiss public through the Federal Government …"
And India, with one of the most advanced biologic development programs in the world, is a strong supporter of homeopathy. On the other hand, there's the U.S., where medical officials seem determined to put an end to anything not created synthetically in a lab, especially if it can't be patented and marketed for big bucks. Even so, it's becoming more common to read about medical doctors who gave up or supplemented their original training to learn homeopathy. When asked why, the reason has a lot to do with wanting to cure illness instead of just treating symptoms. And in 2011, a survey by the American Hospital Association found that 42 percent of U.S. hospitals offer one or more complementary or alternative therapies, including homeopathy. That number is up by 5 percent compared to the survey done in 2007. And some medical schools now offer courses on homeopathy and other alternative therapies like acupuncture and yoga. So at least there are signs of progress. A study that appeared in the February 2010 issue of the International Journal of Oncologyshowed positive results when treating breast cancer with homeopathy. The study showed it was possible to prompt apoptosis (cell death) in cancer cells using homeopathic medicine. Moshe Frenkel, MD, of M.D. Anderson Cancer Center in Houston, examined four extra-diluted homeopathic remedies against two human breast cancer cell lines. His findings included "cell cycle delay/arrest and apoptosis." Dr. Frenkel has also stated that homeopathic remedies appear to have similar activity to paclitaxel (Taxol — the chemotherapeutic drug used most commonly on breast cancer), yet without any toxic effect to healthy cells. Researchers at M.D. Anderson are also looking at the Banerji Protocol for cancer treatment. Developed by Doctors Prasanta and Pratip Banerji, it's an approach to healing hypo-thyroidism with homeopathic medicine that has been proven safe and effective in clinical trials in India. The Banerji approach uses modern diagnostic tools like X-rays and ultrasound to diagnose whether a patient has a disease, and then works to reverse the disease condition through homeopathy. But the difference from traditional homeopathy is that they use mixtures of remedies and frequent "repetitions" of the remedies, all personally tailored to the individual being treated. If you're being treated for cancer in a restrictive hospital where complementary treatments are frowned on, don't hesitate to broach the topic of homeopathy. Remember, in the world of medicine, there are healers and there are body mechanics. Your best bet for preventing or overcoming cancer is to find a practitioner who understands the interconnectedness of the human body and helps you supplement your individual health needs with safe, natural alternative treatments. USSportsFitness.com will be a blessing to under-served Athletes and Fitness Warriors Everywhere! Official Launch May 1, 2013. Get you FREE 30 Day Trial Workout Program Now Go to USSportsFitness.com to see! What if I told you that one simple nutrient can improve your cholesterol, boost circulation, enhance memory and mental sharpness, and even help you sleep better? But then I saw the research from Dr. Haengwoo Lee, a Korean biochemist now living near Seattle, Washington, and my jaw nearly dropped to the floor. 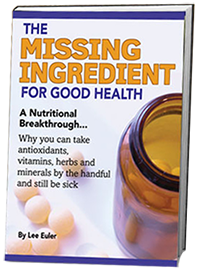 Dr. Lee has made a startling discovery that few people, even many alternative health doctors, know about. He and his team have found an antioxidant that's up to 100 times stronger than the familiar antioxidants vitamins C and E, antioxidant-rich fruits like blueberries, pomegranates and even green tea catechins. We’ll take a look at what this amazing "super-antioxidant" can do for your health in this special new video presentation. For starters, you’ll see how it can revive damaged arteries and improve blood flow in just 6 weeks. This discovery has so many health benefits to tell you all about, I recommend you just…. Please watch this video now. If you delay in watching this, you might forget or the video might be taken down and you'll have missed out. But spend a few minutes watching this now and you can see for yourself the difference this amazing super anti-oxidant from under the sea can make in your life. PETERSBURG, Va. – Saint Augustine’s won its 16th consecutive men’s title and Johnson C. Smith captured its second women's crown in three years on the final day of the CIAA Outdoor Track & Field Championships held at Rogers Stadium on the Virginia State University campus on Saturday, April 20, 2013. Bowie State University finished fifth on the women and men’s side. In the men’s events, St. Augustine’s scored 213 points to run away with the championship. Virginia State was second with 123 points and Virginia Union was third with 101 points. In the women’s events, Johnson C. Smith scored 146.50 points to claim first place. Winston-Salem State was second with 108 points and Virginia State was third with 101 points. Jermaine Jones of St. Augustine’s won men’s track most outstanding performer honors after winning the 100 dash, 200 dash and anchoring the 4x100 relay team to victory. Berfrantz Charles of Virginia Union was named men’s field most outstanding performer after placing second in the long jump and triple jump and third in the pole vault. Samantha Elliott of Johnson C. Smith was the women’s track most outstanding performer after winning the 100 hurdles and the 400 hurdles. She also finished third in the 100 dash and the 200 dash. Bowie State’s Kendall Reynolds and Tajanel McNeil of Winston-Salem State shared women’s field most outstanding performer honors. Reynolds won the triple jump (11.73m) and was second in the long jump. McNeil was second in the triple jump, third in the high jump and fifth in the long jump. The BSU women’s 4x100 (Indya Price, Michelle Palmer, Crishonda Coffey and Jasmine Street) and 4x400 Meter Relay teams (Price, Palmer, Faith Sykes and Brittany Williams) took fifth respectively with times of 47.69 and 3:57.23. Williams was a third place finisher in the women’s 800 Meter Run with a time of 2:19.67. The men’s 4x100 Meter Relay “A” team consisting of Alonzo Williams, Travis Scarborough, Fabian Gonzales and Brian Williams, captured fourth with a time of 42.42. On an individual basis, Alonzo Williams placed fourth in 110 Meter Hurdles (14.52) and Ndjami Chick was fifth in the 5000 Meter Run (16:55.43). St. Augustine’s trailed Virginia Union 59-41 after the first day on Friday, but scored 172 points on Saturday to distance itself from the field. The Falcons won nine of 17 events during the two-day meet. Jones (100 dash, 200 dash) and DeJon Wilkinson (long jump, triple jump) led the way for the Falcons with two victories each in individual events. Other winners for the Falcons were Akido Noel (javelin throw), Ty’reak Murray (110 hurdles), Dane Hyatt (400 dash), Marcelis Lynch (1500 run) and the 4x100 relay team of Ramaan Ansley, Taffawee Johnson, Burkheart Ellis, Jr. and Jones. The winners in the other men’s events were Matthew Huckabee of Lincoln (Pa.) (shot put), Darien Kearney of Virginia State (discus throw), Jamaal Petty of Virginia Union (high jump), Jonathan White of Virginia Union (pole vault), Daniel Ross of Virginia State (400 hurdles), Prince Owusu-Mensha of Virginia State (800 run), Franck Charles of Virginia Union (5000 run) and the Virginia State 4x400 relay team of Te’Shad Chambers, Ross, Owusu-Mensah and Clive Cameron. Elliott and Danielle Williams led Johnson C. Smith to six victories in the women's events. Williams won the 100 dash and 200 dash in addition to Elliott winning both hurdles races. Imeshia Jones of the Lady Golden Bulls was the winner in the javelin throw and the foursome of Naffene Briscoe, Williams, Trudy-Ann Richards and Monique Lovelock were victorious in the 4x100 relay. The winners in the other women’s events were Diane Lindsey of Lincoln (Pa.) (long jump), Bowie State’s Brelyn Finley (shot put), Chelsey Fuller of Virginia State (discus throw), Morgan Heath of Lincoln (Pa.) (high jump), Quanera Hayes of Livingstone (400 dash), Kelly Shaw of Saint Aug (800 run), Taylor-Ashley Bean (1500 run, 3000 run) of Virginia State and the St. Aug 4x400 relay team of Akeisha Dumont, Nicketa Bernard, Cherrisse Lynch and Shaw. from cancer or wants to avoid it! Treating cancer is BIG business in America—$200 billion a year. But did you know that up to 98 percent of conventional cancer treatments FAIL miserably—and can actually make you sicker? Even worse, the powers that be aresuppressing natural cancer cures that are helping tens of thousands of people get well and live cancer-free—with little or no dependence on drugs, surgery and chemotherapy... and for pennies on the dollar. WHY mammograms harm 10 women for every one the procedure helps. WHY Big Pharma resorts to outrageous lies to convince you that their so-called "cures" work. 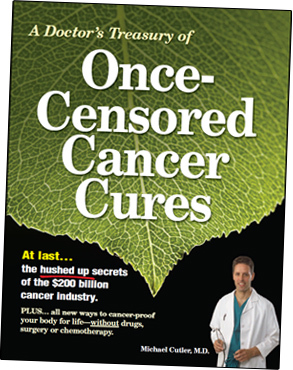 WHY thousands of Americans are saying "NO THANK YOU" to the government's new scheme to censor natural cancer remedies. The real life miracle of one woman's escape from terminal breast cancer! Click Here for your copy. Baltimore, MD – So far this season, the DC Divas have felt right at home on the road. The Divas defense recovered five Seahawks fumbles – including two in the end zone for touchdowns – and DC defeated Central Maryland, 40-0, on Saturday. The Divas (3-0) won their third straight game on the road and pitched their first shutout of the year. Fumble recoveries were responsible for all of the scoring in the first quarter. Pinned deep in their own territory, the Seahawks (1-2) were forced to punt. The punter fumbled the snap, and Jimmien Strong recovered the ball in the end zone to get DC on the board first. Two minutes later, Central Maryland was backed deep in their own territory again. This time, the quarterback fumbled the snap, and Alicia Hopkins came away with possession in the end zone for another Divas score. DC held a 13-0 lead after one quarter. Fumbles continued to plague the Seahawks in the second period. Allyson Swailes came up with DC’s third fumble recovery of the game, which gave the Divas great field position at the Seahawks’ 40-yard line. The DC offense took advantage, capping a forty-yard drive with a touchdown pass from Allyson Hamlin to Juliette Baker-Brice. The Divas’ first offensive score of the contest handed the visitors a 20-0 lead. Controversy struck at the end of the first half. Central Maryland’s first ever home game came with one major complication: the scoreboard game clock malfunctioned, forcing the referees to keep time on the field. Hopkins made her second fumble recovery of the game late in the first half, giving the Divas possession near midfield. Hamlin rapidly completed two passes to the sidelines, putting the Divas near the Central Maryland goal line in mere seconds. However, the referees then signaled that the half was over, abruptly ending the scoring threat. Nevertheless, the Divas continued their offensive momentum in the second half, and they did so by calling on their most experienced player. Donna Wilkinson – the only remaining member of the team who played for the Divas’ inaugural squad in 2001 – ran for a seven-yard touchdown to stake DC to a 27-0 advantage. Alicia Hopkins continued her stellar play on the next Central Maryland possession. The Seahawks were forced to punt, and when their punter dropped the snap, Hopkins snared the ball again for her third fumble recovery of the game at the Seahawks’ 10-yard line. The Divas capitalized on their excellent field position when Hamlin scored on a one-yard quarterback sneak on fourth and goal. Allyson Hamlin added a sixth DC touchdown to the scoreboard by completing a 16-yard touchdown pass to Baker-Brice midway through the fourth quarter. Hamlin put together a solid day’s work, accounting for three touchdowns – two through the air and one on the ground. The Divas defense preserved their shutout in dramatic fashion. On the game’s final play, a Seahawk ballcarrier scampered down the field for Central Maryland’s longest gain of the day. After traveling over sixty yards, Raquel Williams dragged the Seahawk runner down from behind inside the five-yard line, ending the contest with DC’s goal line still uncrossed. The victory gave DC their third straight win to start the season, all of them on the road. As a result, the Divas play four of their final five regular season games at home, beginning next Saturday with their home opener against the Boston Militia. The cancer "hell on earth" they don't warn you about.. Your Life a "Living Hell"
Many people have been handed a life of "living hell" as a side effect of traditional cancer treatments" yet hardly a doctor warns of the dangers. What's more, the side effect doesn't go away once the treatment is over. You may suffer with it for the rest of your life. One more reason to avoid conventional treatments. . .but what if it's too late for you and you're already afflicted with this nightmare? Conventional doctors will tell you there's nothing they can do. As often happens, they're wrong. We've got some tips to help you manage this painful result of mainstream cancer medicine. . . The "rules" of aging have changed enormously in the days since I went to medical school. They still keep changing; life expectancy moves relentlessly upwards. We are all growing older, it's true. But that doesn't mean we have to age. The fact is that at 65 years you are barely half-way through even today's lifespan. Some people alive now will reach 200 years of age and still be in good shape. You may have no choice. What will put you in your grave, eventually, is not aging. It's ignorance. I promise you that you will die earlier than you should if you don't know about anti-aging. You'll lose years that could be rightfully yours. In my remarkable eBook "Get Healthy For Your Next 100 Years" I tell you all the latest science, organ by organ, explaining what you need to know and what you need to do to stay healthy. Lymphedema is an abnormal fluid build-up that causes swelling, mostly in the arms and legs. It develops when lymph nodes are removed, impaired, or damaged, as often happens when a breast cancer patient has a mastectomy or lumpectomy. But it can also be a result of radiation treatment. Any time the normal drainage pattern is disrupted, the swelling called lymphedema may occur. Lymphedema is a common complication of conventional cancer treatments. If you've had ovarian or cervical cancer, prostate, testicular, bladder or colon cancer — and if you've undergone conventional treatments -- lymphedema would affect your legs and feet instead of your arms as happens with breast cancer. Tamoxifen, a cancer drug, is another common cause of lower extremity lymphedema and blood clots. And yet your doctor may never warn you about this complication. Some people develop lymphedema immediately following these treatments… others do so months or years later. The degree of swelling varies. Some people experience extreme swelling, with the affected arm or leg ballooning to several inches larger than the other arm or leg. How bad is it? Many patients complain that dealing with lymphedema has taken over their entire life. Besides the damage to your looks and the painful side effects such as lost range of motion, tightness, and difficulty fitting into clothing in one specific area… lymphedema also increases your risk of serious infection, which can become a life-threatening emergency if it spreads throughout your lymphatic or circulatory systems and reaches vital organs. While the best lymphedema prevention in my view is to avoid cut/burn/poison interventions in the first place, I also recognize that many people do them first and then learn later how damaging they can be. After all, we're all learning as we go. Most people submit to conventional treatments just as their doctor tells them, and turn to alternative treatments only when the first way fails. Although mainstream medicine is the main source of the problem of lymphedema, mainstream medicine leaves you high and dry when it comes to solutions to the problem. They suggest conservative treatments (catch the irony here?) such as bandaging, compression garments, and exercises. Surgery has been tried as a lymphedema treatment, but it usually doesn't work and often makes the condition worse. Very important… Be sure the therapist you see has specific training and experience with lymphedema cases. If it's not too late, consider skipping conventional treatment plans with their almost certain negative side effects… Or at least give extremely careful consideration to some of the alternative protocols available — such as the Budwig Protocol, and Dr. Max Gerson's. But what's your next step if you've already done the surgery, undergone radiation or chemo… and now suffer from lymphedema? Counter to hand wringing from the conventional camp, there are some measures you can implement that may help control or even cure your lymphedema. As much as possible, detoxify your system to create the best possible health and internal cleanliness. Use Epsom salt baths, which are known to chelate ionizing radiation and radioactivity from your body. Lose WeightStudies show that lymphedema is typically worse in overweight individuals, so shedding a few extra pounds may give you relief. Dr. Budwig's Protocol makes sense for anyone facing any kind of a cancer challenge. It may also, due to its somewhat "blood thinning" effect, help facilitate lymphatic flow. Better yet, go raw! Raw foods are filled with living enzymes and cancer fighting nutrients. Get out your juicer or food processor, even if you haven't used it in awhile. Juicing does some of the 'pre-digesting' for your body. Focus on these cancer cell killing nutrients — all raw, of course: carrots, broccoli, cabbage, green asparagus, pineapple, whole purple grapes with seeds, skins and all, apricot seeds (they contain laetrile), strawberries, red and black raspberries, blueberries, beetroot, and turmeric. Enjoy some "green power foods" and drinks… Freshly pressed organic wheatgrass, celery, and parsley juice, and spirulina have helped a great many patients overcome both cancer and lymphedema. Choose anti-inflammatory foods — which means sidestepping wheat, sugar, dairy, and all processed foods. Certain herbs are known to help increase lymphatic flow, including butcher's broom, ginger tea (made from powdered ginger), sweet clover ointment (which contains coumarin — a lymph flow stimulant). "Indigo Drops" — formulated by herbalist Ingrid Naiman for lymphatic blockages — has been reported to help "in as little as five to six hours". I don't have much information about this, but it sounds worth checking out. Frankincense, myrrh and ginger essential oils may also promote lymphatic movement… and cayenne is an all-round helpful herb. Ginger tea prepared with about half a teaspoon of powdered ginger in a cup of water may help increase circulation of lymph, and reduce inflammation. Red clover (which has anti-cancer properties) and fenugreek seem to be helpful also. As do the oligomeric proanthocyanidins (OPCs) found in grape seed or pine bark extract tablets, taken as supplements. Several capsules of echinacea daily help stimulate lymph flow. Your lymph system is your waste removal system. But unlike your heart, which has a pump, your lymph must be stimulated by action and movement. For example, you can stimulate it by brisk walking. But some believe there's no substitute for jumping on a small trampoline(rebounder) for five to ten minute sessions without too much heavy breathing. This stimulates lymph flow like nothing else (except possibly jumping rope). "Please do not underestimate the pronounced positive effects that jumping on a trampoline can have on your lymphatic system. Even if you do not feel the healing effect immediately, this simple device offers immense support to your detoxification efforts." Be sure to get a quality rebounder. Another option is using a Power Plate, used in the space program to stimulate immune and bone health. It also induces the motion and gravitational forces of a rebounder — only much faster. Indeed, it is said to be able to multiply your exercise efforts, giving you far better results in substantially less time. Another activation method is to brush... With a soft natural bristle brush, start at the tips of your fingers and brush toward your collar bone, left side then right side. Circle each breast, stroking gently but firmly, and always toward the respective collarbone. This is where the lymph fluid reenters your blood circulation. On your lower body, start with your toes, and stroke with long strokes toward the lymph nodes in each groin, near your front lower abdomen — where your largest and most important lymph nodes are located, and where lymph toxins are "digested". It sounds bizarre, but cabbage leaf applications were a backbone of naturopathic Swiss doctor Father Thomas Haeberle's books and practices. Cabbage is well established as an anti-cancer food. But as a poultice it is relatively unknown in modern times, though there is some evidence it was popular during Roman times. I know of no scientific studies that back this as a treatment — so please take this story as it is intended, strictly as an anecdotal case. A woman who reportedly suffered from lymphedema had tried elastic bandages with no improvement. Hearing that cabbage leaves might help, she crushed cabbage leaves and held them in place over her lymphedema with elastic bandages. She reported marked improvement in just one night, and almost completely dissipated swelling in three nights. There's likely no harm in trying this, but realize that we don't have scientific studies to show its efficacy. Several studies now show the healing benefits of light, and especially red light. (No blue light for lymphedema.) Red light wavelengths easily penetrate your skin, stimulating your mitochondria — the cellular powerhouses that make your tissues and organs run more smoothly. The first study, published in the journal Lymphology in 19982, showed that women getting red light treatments once or twice a week for 10 weeks had measurably less arm swelling, and improvements in measures of pain, tightness, heaviness, cramps and arm mobility. Red light therapy not only reduces lymphedema… it also helps activate the local immune system by stimulating the white blood cells that can kill and carry away pathogens. This makes for a more sanitary cellular environment and thereby reduces infection risk. I've seen a couple of products recommended: The X Light from Chee Energy Company and the Light Shaker from Light Energy Company. Haven't checked them out, I'm just passing the info along. But the ultimate light treatment might be sunlight. After all, it's been available throughout the ages and assists your body to produce vitamin D which is highly protective against cancer. Your lymph nodes do an amazing job of keeping you detoxified. So, even if you don't have lymphedema, or have never had cancer — you might be well advised to employ many of these strategies strictly for their health-enhancing benefits. After all, if your lymph nodes do so much for you, why not give them the assistance to do their job better? Thanks For Visiting US Sports Network! 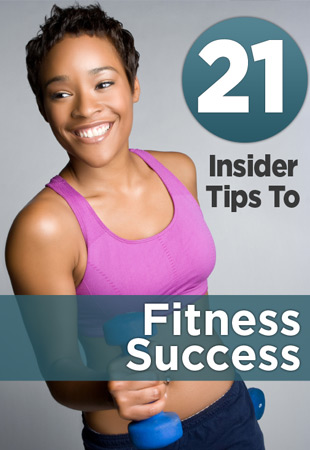 Please Accept This Free Fitness Info Gift and Visit Us @ Cool Sports & Talk Again Soon! Fill out the form below to get instant access. We respect your privacy. Your info will never be shared. Listen to Live Sports and More! US Sports Network News You Can Use! US Sports Network News! Having fun and helping the peeps'. Using Sports as a platform to Inform, Educate, Inspire, While Entertaining you with the best of sports, talk, music, and fun. Be on the lookout for our frequent 'Teachable Moments' This will be a sports experience like you never expected. We always welcome your feedback. If you like us or even if you don't, we are always going to love you! Thanks for stopping by! Wipe Out 20 Years of Aging in 6 Months? Can a weed killer help cancer patients? Strength and Power Don't Leave Home Without It! The posts on this site contains affiliate links and I will be compensated if you make a purchase after clicking on my links. Thanks For Visiting US Sports Network! Please Accept This Small Token Of Our Gratitude and Visit Us @ Cool Sports & Talk Again Soon!